By the power of Grayskull!!! Eternia´s champion and one of the most cherished characters of all action figure history... He-Man! 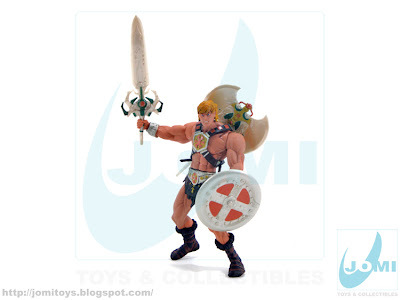 Great has always been a common word when reviewing these modern series figures. Can´t say the same thing about the center character. 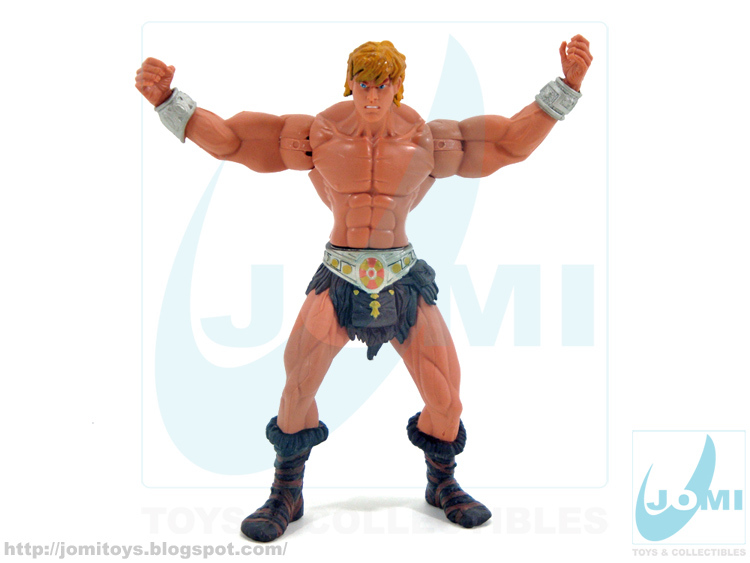 Of course it´s a simple figure as it was decades ago, thus a bit hard to elevate it to the same ground of most of the other remakes. 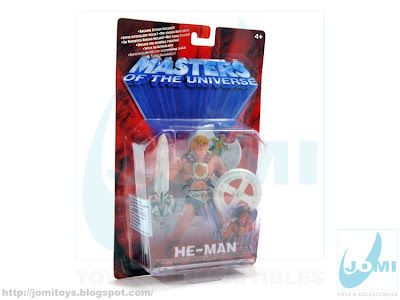 He-man looks like a He-Boy. But that has probably something to do with the cartoon series and franchise path/plan for the "modern series". 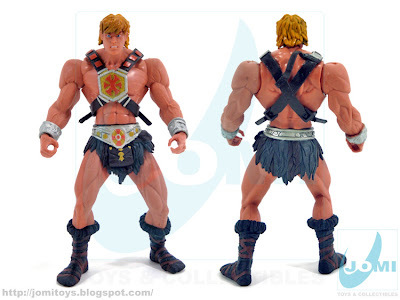 However, considering the look of all opponents and allies... He-Man should have had a more mature look... and a deeper rethinking of the outfit. Still, a good figure. 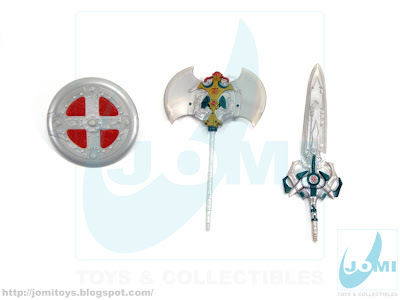 As far as accessories go, I was a little disappointed with the new Power Sword. And it sort of connects with what I was saying some lines back. 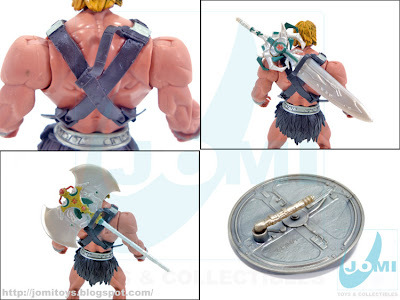 These accessories would look great with a modern, really modern He-man look. While the figure itself keeps the Barbarian look, the weapons were modernized. The sword looks more like the Cosmic Key than the Sword of Grayskull. And I became He-Man... the most powerful man in the universe... Whack!